Here at Arval we pride ourselves on supplying a wide range of vehicles, which is one of the reasons we are one the UK’s best and largest leasing companies. With vehicles to suit all positions and budgets, such as the large Suzuki range on offer, simply request a quote or give us a call on the number below and one of our knowledgeable team will be happy to help. Suzuki started life over a century ago, creating looms in the early 1900s, although the business has changed a lot since then, its ethos remains largely the same - to create products that people need in their lives. The Japanese car giant has evolved to offer some of the best everyday vehicles on the market, making it one of the top 10 car manufacturers in the world. The entry level Celerio, is a practical city car with five doors and low emissions, great for those who are conscious of their BiK rating. The range increases in spec from the SZ2 to the SZ3 through to the SZ4, improving upon tech and design across the range. Similarly, the new Ignis follows many of the same principles of the Celerio. However, it has more space and more distinctive looks. The well-known and loved Suzuki Swift is a fun-to-drive small hatchback taking on the Ford Fiesta. Offering a hybrid model in addition to the petrol engine available, the Swift is a great option for those looking to keep fuel costs low when commuting and looking for something to bring a smile to their face on a b-road. 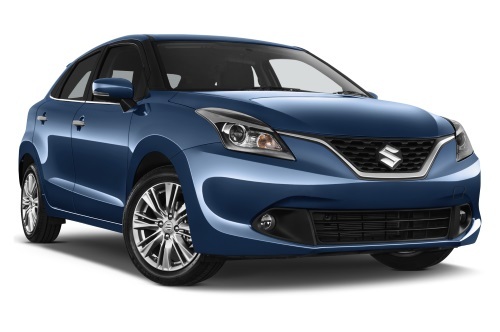 The Baleno is Suzuki’s five-door hatchback sitting just above the Swift in its range. It’s been designed to be more spacious and practical than the Swift and is powered by a 1.0 petrol engine but is also available with a 1.2 litre hybrid offering greater economy and lower CO2 emissions. Joining the SUV market Suzuki has three different SUVs on offer, the compact Vitara, rugged Vitara S and the practical SX4 S-Cross. With the entire range offering enough space and practicality for busy families and a huge variety of tech, the Suzuki SUV range is a great option for practical leasing. With a knowledgeable and friendly team who are on your side, don’t hesitate to contact us to help find the best car for you. With breakdown and maintenance cover as standard, we take the hassle out of leasing, so all you have to do is drive. To find out more about the Suzuki range and other leasing products available, look at our lease deals, call us on 0345 266 5602.